Well, Brooklyn to be exact, but yes it's true! I am moving to New York City. Guys...I am over the moon. I've known officially about the move for awhile now, but wanted some time to process things before I wrote about it. Everyone knows I've wanted this for so long. Flash back to last summer I remember getting in a taxi with all my things, crying as I stared out the window having to say goodbye to the city that changed my life. The driver probably thought I was a lunatic, and to be honest I felt like one. I never knew three short months in one place could impact my life so greatly. I was changed from the inside out completely. I even chopped off all my hair after my summer in New York City because I wanted outside to reflect how I felt inside: free. In that taxi ride home and every day for the last nine months I vowed I'd get back. I didn't know how I'd do it or when, but I promised myself I would. When something in life impacts you so greatly like that...it's almost like an addiction. It's all I thought about. Morning, noon, night. I almost began to wonder if maybe my memory of NYC wasn't as good as my mind thought it was because I idealized it so much. Perhaps the whole summer had been a fluke. That's why I visited in December to see if moving back to NYC after graduation was REALLY what I wanted. I was surprised when I took that trip because it wasn't what I expected. Instead of feeling giddy about being in NYC I was calm. It confused me at first because I felt like maybe NYC had lost its magic to me. Then I realize it had never lost its magic: I just wasn't an awestruck tourist anymore. 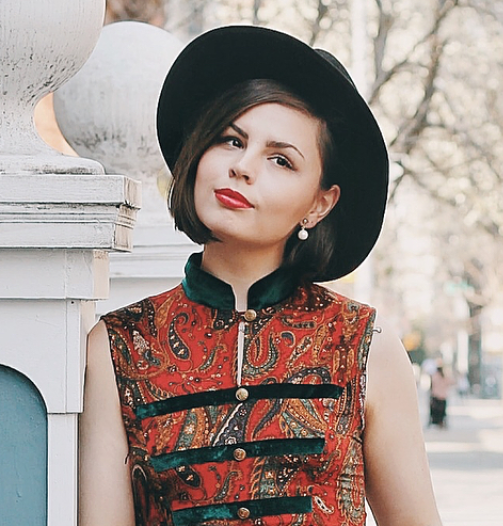 I felt calm and peaceful in NYC because I was home and it felt like I'd never left. It was where I knew I was supposed to be. After my trip in December I frantically began applying to jobs to feel like I was making strides toward my goals. I wanted to feel like I was making progress and not just at the standstill I'd been at for the last five months. I became very discouraged when I heard back from no one. Not even no's. Just silence on the other end. I would call my mom crying; frustrated and desperate. I wanted this so badly...more than anything I had ever dreamed of in life. I had so many doubts about how I would do it. With no one getting back to me I felt like my dreams were slipping away. It couldn't be done. I was stupid to think I could move to New York City and anyone would hire me. In these past winter months I was very down on myself. My confidence plummeted as I saw all my classmates around me securing jobs while I couldn't even get a no: let alone an interview. I felt worthless as I applied for these jobs I felt I wasn't qualified for because I was entry level. I kept trying to remind myself I was worth something and that someone else would see I was worth something, too. It had been an idea I tossed around, but as I grew more and more desperate the idea of moving to NYC without a job became more of a serious consideration for me. I'd gotten a job as a part time barista this school year so I could save money for the move, so why not just make the move and do it? I talked to mentors and many didn't think it was so crazy of an idea. A lot of them had even done it themselves. I'm such a rational, safely-led decision maker that the idea of moving to one of the most expensive cities in the world without a job absolutely terrified me. As I went over and over the possibility in my mind though, one thought kept poking its way through. You want this Lauren. You want this so badly that you're willing to do anything and everything to be there. You're not going to let yourself fail. Even if you do fail, you did so after you tried everything you could. So why not just do it? Take the shot, take the chance. Believe in yourself instead of setting yourself up to fail. So many months as my confidence dwindled I'd lost the belief in myself that I was worth something. Those around me, family and friends, could see it, but I'd become blind. I realized it was time to stop feeling sorry for myself, time to stop saying "but what if this happens..." and just DO IT. 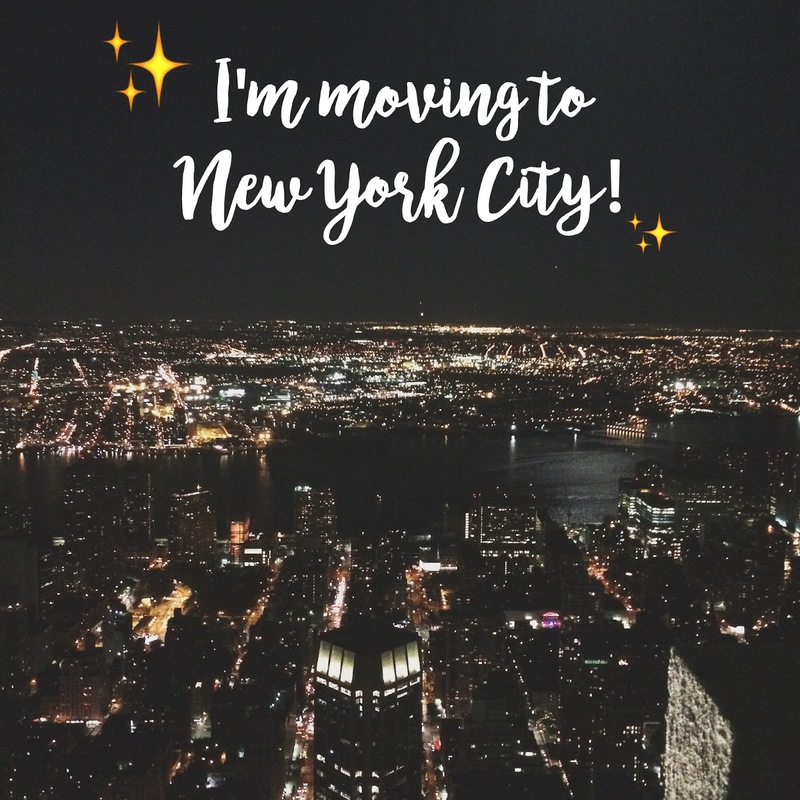 So I booked an airbnb for three months from June 1st to August, secured a flight, and decided "I'm going to move to New York City and no one is going to stop me." It's the scariest and most risky thing I've ever done, but I can't wait for this crazy adventure. I have some job opportunities thankfully in the works at this point, but nothing is guaranteed ever. I'm still going without a job, without any real security and just relying on my own self-determination to get me through. I think it's a great idea to take the risk!! I graduated last may and it took me nine months to find a job! BUT I found the job after I moved to a new city! I moved without a job and just some savings but I found one within a month of being there! So, it's definitely possible and I think it's a wonderful idea! It's so much easier to find a job when you're in the city and doing it face-to-face. Now I'M going to have to start following this site as I'm curious as to how this will eventually pan out for you. You have one advantage: A niche with a degree to match. That increases the "probability potential" in terms of being able to secure something resolute occupationally/professionally. One of my friends lived in Brooklyn for a couple of years and she totally is a city girl and did well there. She took me to the city and I really only every go in the city if she is with me or my husband's friend who lived there for a few years is with us. . .otherwise I freak out and don't enjoy it (and I live 20 minutes from it). I am not a city girl. Another of my friends lived in NYC (can't remember where, but possibly Queens - I never visited her, she always came to NJ to visit family and friends) and she said that the dating scene in NYC is terribly shady (she had a few boyfriends there who were not what she hoped at all). She says they are all very materialistic and fake and so she moved out after a couple of years too. There are some really cool churches there though if you are interested like Times Square Church and Hillsong church. I know a woman who is ahead of or a part of a dance team there (they do dances of worship to God and she seems really happy there. I work with her mom at Justice Network fighting human trafficking). Lauren, you are so absolutely strong and inspirational! I'm the same way when it comes to taking risks and having a plan. The fact that you are taking a chance is amazing and so beautiful! I know all will go so well for you and I can't wait to see all your fabulous New York posts! Congrats on being such a strong and amazing person! Finding that inner peace is what a lot of people search for for years and years. It will be so exciting to hear all your wonderful adventures these coming months! It's been an absolute joy to watch you work so hard towards this dream, and I'm SO excited for you!!! Whatever happens will be amazing. Your drive inspires me so much. I can't wait to follow along on this new journey! I can't wait to follow you on your NYC journey, it's amazing how far you have come. It's great that you are taking a risk, sometimes in life you just have to even though it's far less scary to do everything by the book. Well done for being so brave. I'm so glad your taking this leap of faith ! If you never try you'd never know, I'm sure you will do great things in New York. Congrats on all your success and Thanks so much for sharing your ups and downs on your blog, your very inspiring !